Unwanted grass types are turf varieties that are unattractive, hard to maintain or produce a high level of thatch. Thatch is the layer of living and non-living organic material between the grass and soil. When too much thatch exists, it produces a hospitable environment for weeds and fungal diseases. Bermudagrass or couchgrass is typically grown in the Southern United States as a pasture turf for forage. However, numerous gardeners consider this turf a weed because of its unattractive appearance. Its aboveground stolons have a wiry appearance that does not contribute to a uniform appearance. Bentgrass is another unattractive grass that is sometimes mistaken for Bermudagrass. Its spiky stolons give this grass a chaotic appearance. Four varieties of this grass is actually used in the United States, they are mainly used for athletic fields and golf courses. High maintenance is not the type of grass you plant and forget about the rest of the growing season. These types of grass generally require a strict watering and mowing regimen. 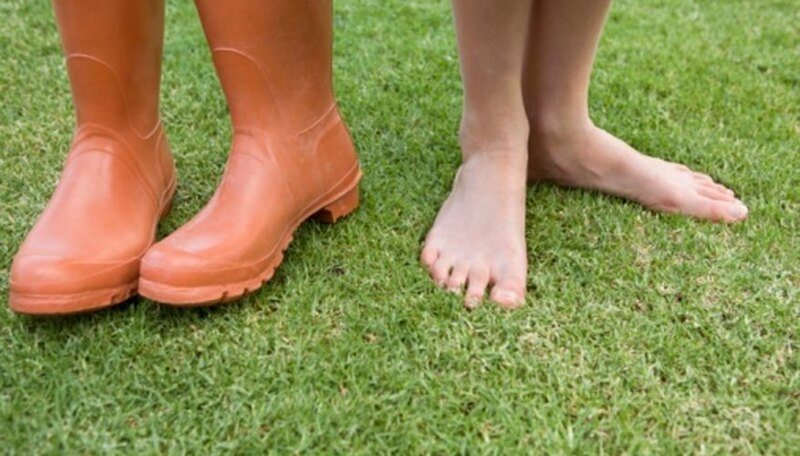 Kentucky bluegrass needs a height of 2 to 2 ½ inches, which translates to a weekly mowing, compared to buffalograss which can mowed every two weeks to maintain that height. April and May see the highest rates of growth for Kentucky bluegrass. In addition, fescue grass is also a vigorous grower and must be mowed frequently. These grasses grow so fast, because they have shallow root systems. According to Texas A&M University, St. Augustine grass must be on a strict watering schedule when grown in areas that see unpredictable rainfall.High maintenance is not the type of grass you plant and forget about the rest of the growing season. These types of grass generally require a strict watering and mowing regimen. Kentucky bluegrass needs a height of 2 to 2 ½ inches, which translates to a weekly mowing, compared to buffalograss which can mowed every two weeks to maintain that height. April and May see the highest rates of growth for Kentucky bluegrass. In addition, fescue grass is also a vigorous grower and must be mowed frequently. These grasses grow so fast, because they have shallow root systems. According to Texas A&M University, St. Augustine grass must be on a strict watering schedule when grown in areas that see unpredictable rainfall. According to the University of Arizona, Bermudagrass and zoysiagrass produce an excessive amount of thatch. These grasses produce stolons and rhizomes, which die and contribute to the thatch layer. Grasses that produce a moderate amount of thatch include buffalograss and bluegrass. Ryegrass and tall fescue grasses, because of the nature of how they grow in clumps, do not produce as much thatch.